The Nabla White Rose Brush Set contains 10 beautiful brushes, specially designed to allow you to achieve your perfect eye makeup! With all these possibilities, I only have to imagine and create the makeup of your desires. 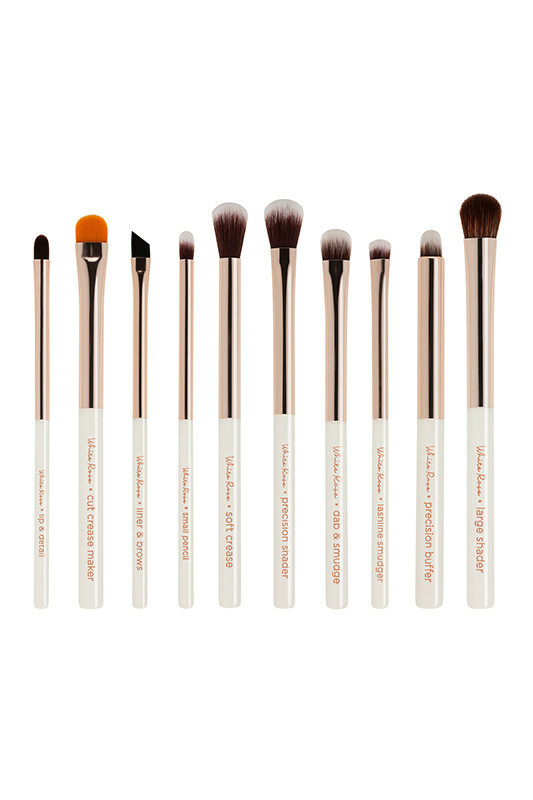 This set the brushes will also seduce you with its pocket, trend to carry everywhere. 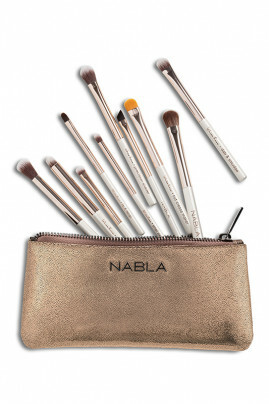 And synthetic bristles, Nabla Vegan Brushes are strong and ultra-soft. The Nabla White Rose Brush Set contains all the necessary accessories to discover the natural beauty of your eyes! Vegan brushes to sublimate your eyes! Soft Crease Brush: to blur the eyeshadow and soften the contours. Brush Cut crease maker: to achieve a cut crease. This is to redefine the eyelid hollow more or less pronounced. Large shader brush: its wide shape allows to cover evenly the eyelid. Liner & brows brush: to make a line of eyeliner. Precision buffer brush: to easily apply the concealer and corrector around the eye. Small pencil brush: its precision allows to fade a line of eyeliner or a smoky-eyes. Dab & smudge brush: to work with eyeshadow: gradient effect or mixture of colors. Precision shader brush: for a meticulous application of eye shadow. Lip & detail brush: Accurate application, for contours for example.